Choosing car insurance as a millennial can be quite challenging if you’ve never purchased before, or if this is your first time choosing insurance without parental guidance. 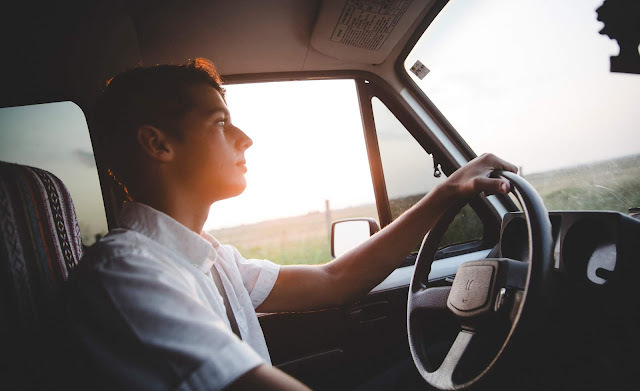 There are several things to consider when choosing the best insurance policy for yourself, including your driving record, your budget and the types of relevant coverage available based on your vehicle, location or driving habits. If you have accumulated a number of points on your license, you will likely be classified as a high risk driver and automatically be subject to higher rates. This is because you are more likely to get into an accident and make an insurance claim than someone not classified as a high risk driver. A DUI on your record will classify you as an “extremely high risk driver,” and will likely cause you to face even higher rates. If you’re classified as an extremely high risk driver, some insurers may not accept your insurance application or may not renew your policy. There are a variety of policy coverages available to individuals seeking auto-related insurance. 1. Collision Coverage: Your vehicle will be covered if it gets destroyed or damaged in an accident. Coverage will be provided if you crash into another car or an object (like a tree). Generally, some or all of the repairs and associated costs will be taken care of by your insurer based on the Terms and Conditions of the policy you purchase. Bodily Injury Liability Insurance Coverage: In the event that you are at fault for hurting passengers, pedestrians and/or occupants of another vehicle, this coverage will pay for pain/suffering, which may be determined by the court. Note: insurance will not cover intentional harm/damage. Property Damage Liability Insurance Coverage: Similar to bodily injury liability, this coverage applies if you’re at fault for damaging someone else’s property. Each policy varies in what it offers, so read carefully and choose wisely. Repair and/or replacement of damaged property such as fences, trees, houses and vehicles are usually covered. Note: Liability insurance does not cover damage you caused to your own vehicle (for that you would need Collision coverage). 3. Comprehensive Coverage: In the event that a natural disaster damages and/or destroys your car, you get hit by an animal or your car gets vandalized or stolen, this Comprehensive coverage typically protects you from these types of instances. 4. Statutory Uninsured /Underinsured Motorist Protection: Bodily Injury: Car accidents are inevitable. In the event that you’re hit by someone that is uninsured or underinsured (carries lower liability limits than you have), and you sustain serious bodily injuries this coverage may handle expenses and pain and suffering that are not covered by the at-fault party. New York residents are required to have SUM coverage. 5. No-fault Coverage: It’s easy to forget that medical bills can prevail post-accident. With this coverage, your medical bills will be taken care of no matter who is at fault. Some insurers will also pay medical expenses, provide dental care or cover funeral costs for injured passengers in your vehicle. No-fault coverage is mandatory on all Auto policies in the State of New York. A deductible is the amount you are responsible for, and have agreed to pay, before the insurance company will pay for your claim. For example, if your deductible is $400 and the repair cost is $900, you’re responsible for the first $400. Typically, the higher deductible you have on your policy the lower your premium payment will be. Note: Not all coverage plans have deductibles. This tip will save you from paying higher rates to insurance companies. Insurers look at the year, make, and model of your car when providing your rates. If you have or plan on buying a luxury or sports car, rates will certainly be higher because the car parts will cost more to repair/replace. Having an older car or a non-luxury brand will leave you with more affordable rates. Take the time to financially plan whether you can afford car insurance for a luxury vehicle. Considering these tips, financial planning and careful thinking will leave you with the best and most affordable insurance plan. You’ll be able to pick and choose the coverages that apply to you and invest in what is necessary. Best of all, you will have coverage and protection that provides value and reassurance when you need it.